Can’t get clothes to fit you? Sick of trying to find the clothes you really want in the stores? Why not learn how to sew your own outfits? You can choose exactly what type, style and colours you want and adjust it to fit you perfectly! 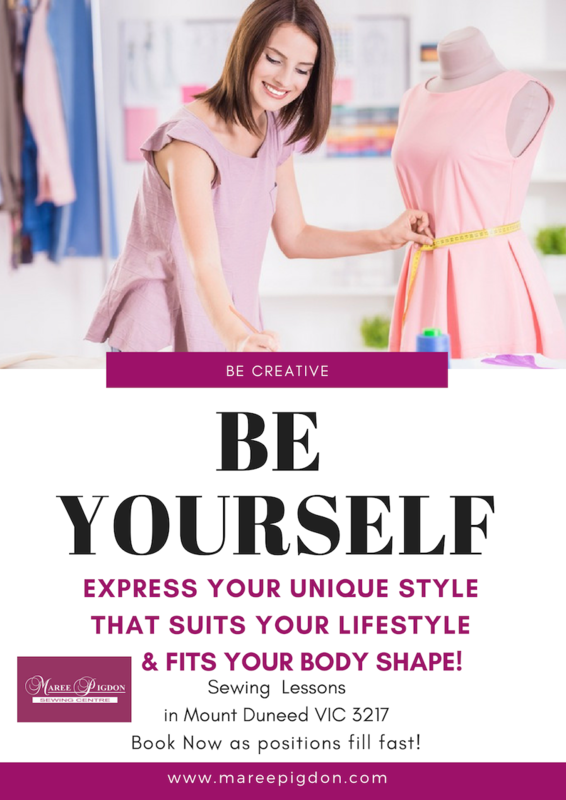 Here at Maree Pigdon Sewing Centre we help you to express your unique style that suits your lifestyle and body shape through learning how to sew. This entry was posted on Saturday, November 10th, 2018 at 4:00 am	and is filed under Sewing. You can follow any responses to this entry through the RSS 2.0 feed. You can leave a response, or trackback from your own site.